I want to try learning some music composition in Linux. After some search, I found people do recommend several nice audio software for Linux. One of these applications is Ardour. You can install 2009's version 2.8 from the official Ubuntu repos. 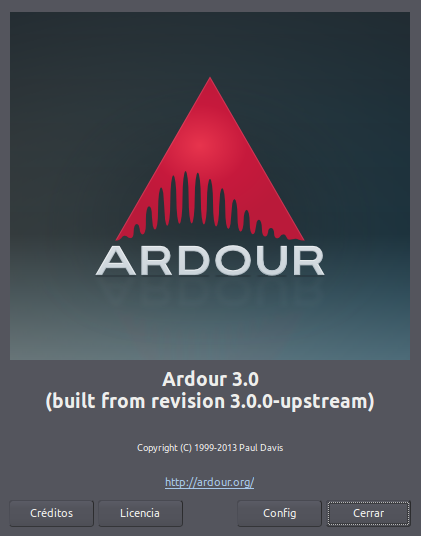 The newest version is available for free as source code or in a limited demo binary from the Ardour webpage. You can also get an unlimited binary paying a small amount. But I wanted to test the newest version without limitations before contributing to the project. First I tried to build from the sources. For that I had to look for backported builds of the required dependencies, until it finally configured and built fine following Ardour's linux building guide. 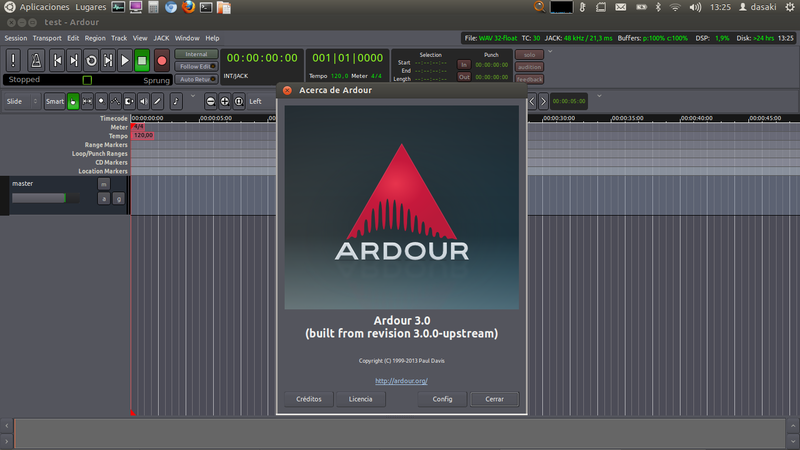 Then I found also a binary of Ardour 3 for Ubuntu Precise 64, which also needed some other dependencies, but installed fine. After the installation I followed these instructions to solve some permissions issues. Dont forget to follow the instructions I mentioned above if you find some permissions problems. how did you install jack ? If you have problems you may have to install pulseaudio-module-jack aswell. nice, do you know what to typ in terminal if you want to uninstall it ? 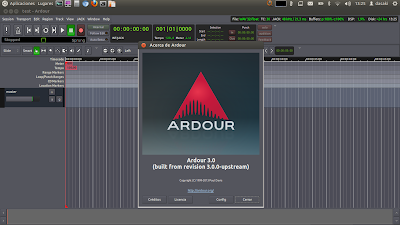 Recently I switch to debian testing from ubuntu precise, and I use ardour and jack to record some tunes for my weekend band. 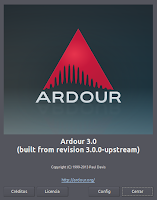 Do you have any suggestion to install ardour 3 in debian testing? I've only udes it in ubuntu, so far. As ubuntu is a debian, I guess it should work the same. In the worst case you would have to build it from the sources.